One of the reasons that I frequently hear given for not updating classroom or school blogs on a regular basis is "it takes too much time." If you're not in the habit of writing blog posts on a regular schedule it can take a lot of energy to get the blogging ball rolling. One way that you can get that ball rolling every time you sit down to write is to use a template. Having a template makes it a little easier to identify what you're going to write about and where it is going to fit on your page. 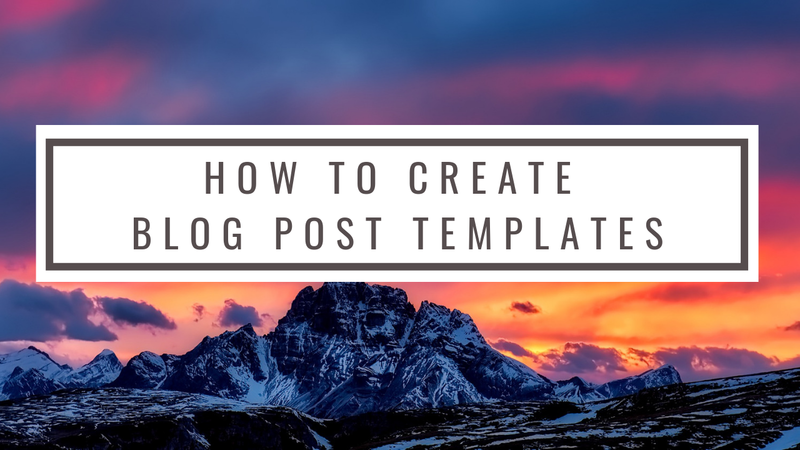 Even if you're not adept at writing HTML, you can make a template for your Blogger (Blogspot) blog posts. In the following video I demonstrate an easy way to create a template for a "weekly classroom summary" blog post. You can do this even if you have never written a single line of HTML.